What you need to know as a foreign SITEVI visitor. Are you from outside France and interested in visiting SITEVI in November 2019? Contact your country's SITEVI office for advice and assistance (contact details below). Depending on your country of origin, you may need a visa to enter France. The online badge order procedure includes a section in which you can ask for an invitation letter to enclose with your visa request. The French embassy or consulate in your country are the sole bodies with the authority to grant a visa and your sole contact in the event of any queries. IMPORTANT ! The SITEVI invitation letter DOS NOT GRANT ACCESS to SITEVI. This document will only help you with you visa application. Attractive discountes, up to -15%, on a wide range of public fares on all AIR FRANCE, KLM and their code-shared flights worldwide. Access the website to book your flight, here. 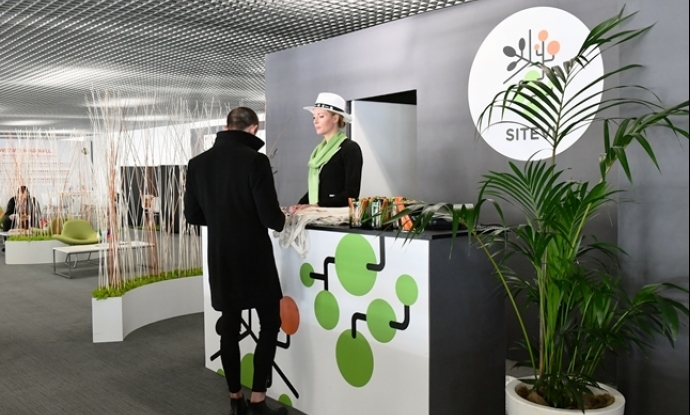 The SITEVI International Business Club allows foreign visitors to benefit a personnalised welcome, a meeting area and themed guided visits of the show. A personnalised welcome: free exhibitors catalogue, introduction of the SITEVI exhibition and the key players, a meeting and resting area, themed guided visits upon request. A networking wall: SITEVI exhibitors will drop off their business cards on the wall at the entrance of the club. A simple tool to help you forge relations with exhibitors!